Boulder City’s holiday season is full of opportunities to celebrate and spend time with family and loved ones. 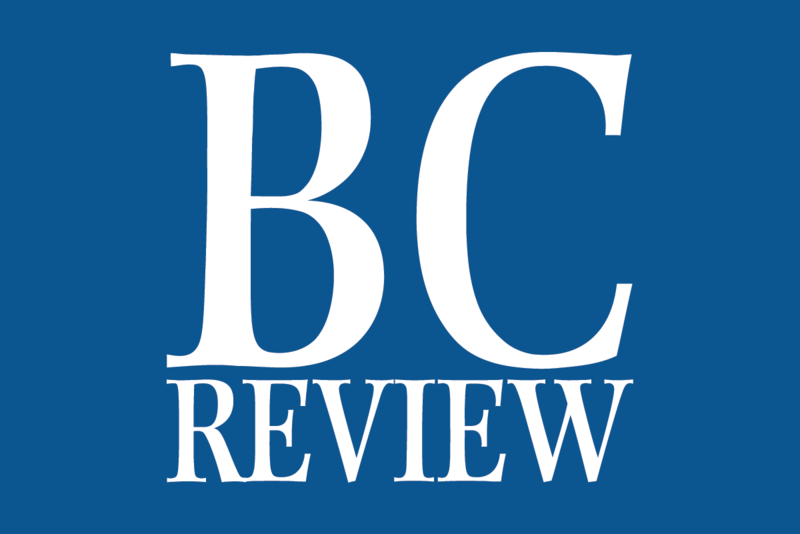 To help guide residents and visitors with what is available, the Boulder City Review has compiled a list of some of the events scheduled in town. 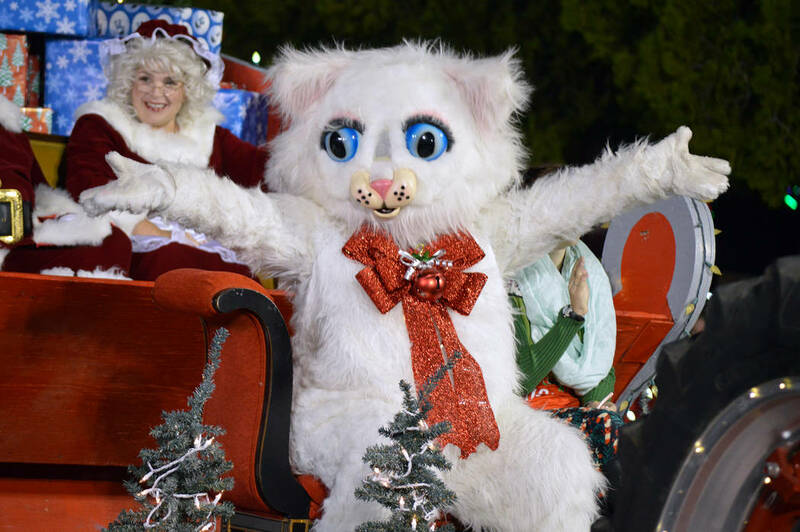 Jingle Cat will make its appearance and several of this year's holiday events in Boulder City. The Angora Family Nativity at 1296 Lynwood St. in the Gingerwood Mobile Home Park is open for its 62nd year. It is open 24/7 and best viewed after dark. Nov. 29, 6 p.m., Boulder City Recreation Center (old gym), 900 Arizona St. The yearly event celebrates the birth of Jesus Christ with a processional and live Nativity scene and was started 28 years ago by the Boulder City Chamber of Commerce. In 2013, Boulder City United Methodist Church took it over. It is free, open to all and features performances by three different school choirs. Several residents will voice the key roles. Alan Bowman will voice Joseph. Dave Olsen will voice the innkeeper, and Connie Mancillas will voice the angel. There will also be hot chocolate for those who attend. Nov. 30, 5:15 p.m., 1525 Fifth St.
Join Dale Ryan and Dyanah Musgrave as they turn on the lights at their home for the first time this season. This marks the 15th year Ryan has transformed the front yard of their home into a winter wonderland with a ski lift, merry-go-round, Ferris wheel, trains, snowmen and other holiday accents. Nov. 30, 6 p.m., Frank Crowe Park, 537 Cherry St.
Locals will provide fun entertainment before the arrival of Jingle Cat and Santa to light the Boulder City Christmas Tree. Hot cocoa will also be served. Dec. 1, 8-10 a.m., Boulder Dam Brewing Co., 453 Nevada Hwy. This inaugural event will feature a free breakfast with pancakes, bacon, coffee and juice. There will also be a photo booth where people can take pictures with Santa Claus. According to organizer Marcela Fastow, donations will be accepted, and all proceeds will go to the benevolent fund at Christian Center Church. Fastow said the fund is used to help the entire community. Dec. 1, 11 a.m.-2 p.m., Boulder City Recreation Department, Gym 1, 900 Arizona St.
Free pictures with Santa and Mrs. Claus and Jingle Cat, provided by 28 Sunflowers. Fun Swag Bag thanks to many local Boulder City Chamber of Commerce members. The beautifully hand painted backdrop is courtesy of the Boulder City Art Guild. Dec. 1, 9 a.m-4 p.m., Boulder City Recreation Center, 900 Arizona St. The 44th annual event, presented by the Boulder City Community Club, features more than 140 artisans, who will show and sell their handmade wares, many created especially with the coming holidays in mind. The club will sell refreshments and will hold a raffle for items donated by the vendors, as well as cash. Proceeds from the bazaar are used by the club throughout the year to support community organizations and events. Dec. 1, 1-3 p.m., Wilbur Square Park, 999 Colorado St. This inaugural event is hosted by the Boulder City Family Mortuary and is a fundraiser for the Boulder City Little League. The snowballs are actually stress balls, and participants can get two for $2. People can also pre-register at the Boulder City Family Mortuary, 833 Nevada Way #1. Organizer Tyson Smith said he had the idea for the snowball fight when he was getting ready for the Christmas parade and saw that other communities held one. He said he thought it would be a fun thing to do. This free parade features spectacularly lit floats, bands, marching groups and more. It starts on Nevada Way near Wilbur Square Park and will travel through the downtown area to Fifth Street. Dec. 6, 6 p.m and 8 p.m., Nevada Southern Railway Depot, 601 Yucca St.
Part of the Southern Nevada Railway, these special train rides begin Dec. 6 with additional dates of Dec. 7, 13, 14, 20 and 21. The train departs from the depot at 601 Yucca St.
Dec. 7 & 8, 7 p.m., Elaine K. Smith Building, 700 Wyoming St. The Red Mountain Music Company is holding a Christmas concert titled ‘Twas the Night!” featuring the Red Mountain Choir and Martha P. King Singers. Adult tickets are $10 and can be purchased at the Boulder City Chamber or Commerce, 465 Nevada Way, or at the door. Children and students are free. Children under the age of 5 are not admitted. Dec. 8, 10 a.m.-3 p.m., Nevada Southern Railway Depot, 601 Yucca St. The Santa Train begins its first run of the season at 10 a.m. Riders take the train out to Railroad Pass and then return to the depot at 601 Yucca St. They can also ride the live steamer trains for a donation. Additional dates for the Santa Train are Dec. 15 and 22. Times are 10 and 11 a.m., noon, 1, 2 and 3 p.m.
Five homes will be on the tour this year. Those visiting the homes will experience the Christmas decorations, the history, the quail, the vintage vehicles and the variety. This year there will be vintage trucks in the Dec. 1 parade to promote the home tour. The tour is sponsored by American Association of University Women (AAUW), and proceeds will help women with college tuition. Tickets are $15 each and can be purchased at the Boulder Dam Hotel, the Chamber of Commerce and from any AAUW member. The tickets must be presented at each home. Visitors can stop by the Desert Discovery Center at the Alan Bible Visitor Center in Lake Mead National Recreation Area and talk with rangers. There will also be discounted items for sale in the visitor center’s store during the open house. Dec. 15, 4-8 p.m., Boulder City/Hoover Dam Museum, 1305 Arizona St.
Those who want to participate in the contest can bring their houses to the museum between Dec. 10 and 14. It’s free to enter, and the judging will take place during the museum’s holiday gala. For more information, contact the museum at 702-294-1988. The historic Boulder Dam Hotel and the Boulder City/Hoover Dam Museum are hosting a holiday gala to celebrate their 85 years of history. The event features refreshments, storytime, arts and crafts, a raffle, the gingerbread contest and more. For more information, call 702-204-1988. 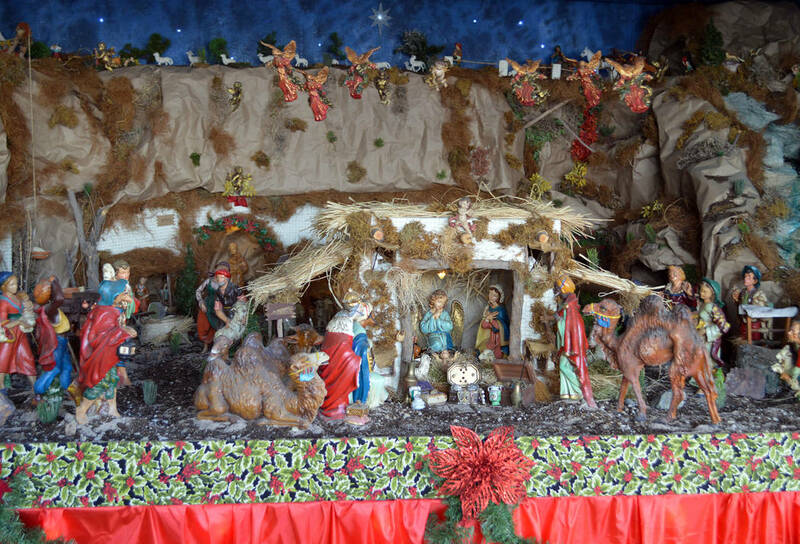 In its 62nd year, the Angora Family Nativity is now open at 1296 Lynwood St. in the Gingerwood Mobile Home Park. It is open 24/7 and best viewed after dark.